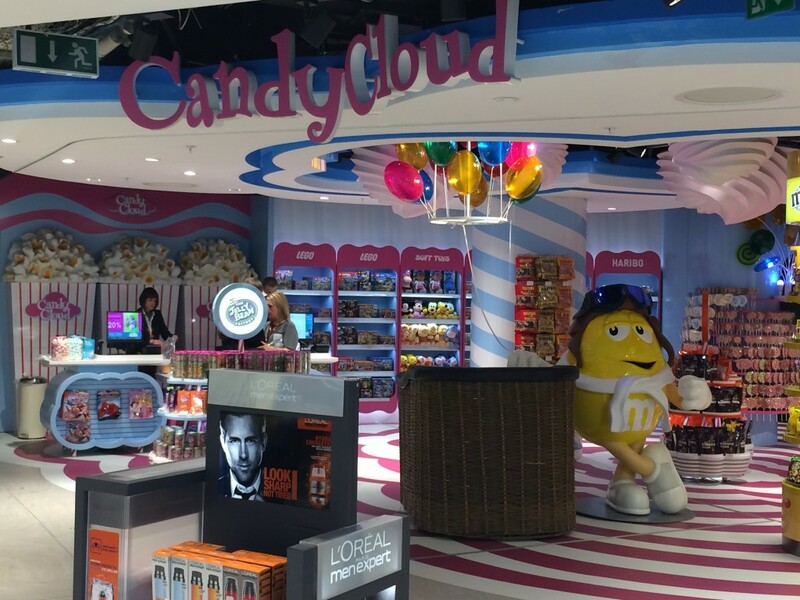 Brief: We were commissioned by Glennwood Tullamore to create oversized popcorn and giant meringues for the confectionery concept in Candy cloud at Dublin Airport / Ireland. The brief was to scale up both food items proportionally and decorate as realistically as possible. 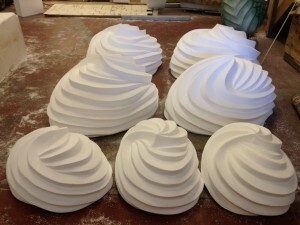 As meringues had to be suspended from the ceiling they had to be reasonably light weight whilst being durable and easy to maintain. 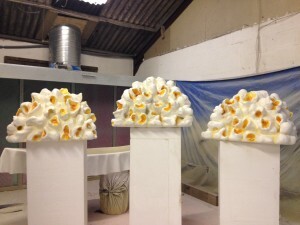 First step: We cut the main shapes out high density polystyrene and individually hand carved both popcorn and meringues as realistically as possible. 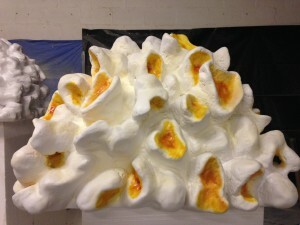 The look we tried to achieve is a natural flow of a real hand made meringue. 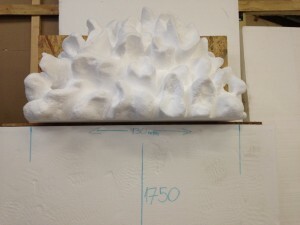 Second step: After the shape was carved and the proportions were correct, we sanded out any imperfections in preparation for hard coating. We fitted the exterior ply wood base at the base of popcorn for easy installation. 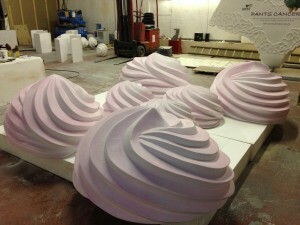 Within each meringue we installed a stainless steel fixing system. 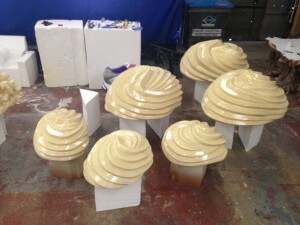 Third step: After surface preparation, spray applied hard coating polyurethane , this layer will ensure that creations are both water proof, extremely durable and easy to maintain. Because of the high-tech performance of this coating we were able to primer items within minutes. 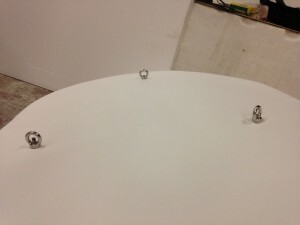 Final step: The most exciting part of the job to spray paint and decorate. We airbrush decorated the popcorn realistically as possible. 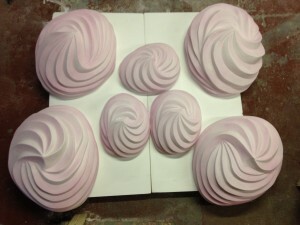 We spray painted the meringues to a delicate pink, the light shading helped to accentuate all the ridges and natural flow of the giant meringues.